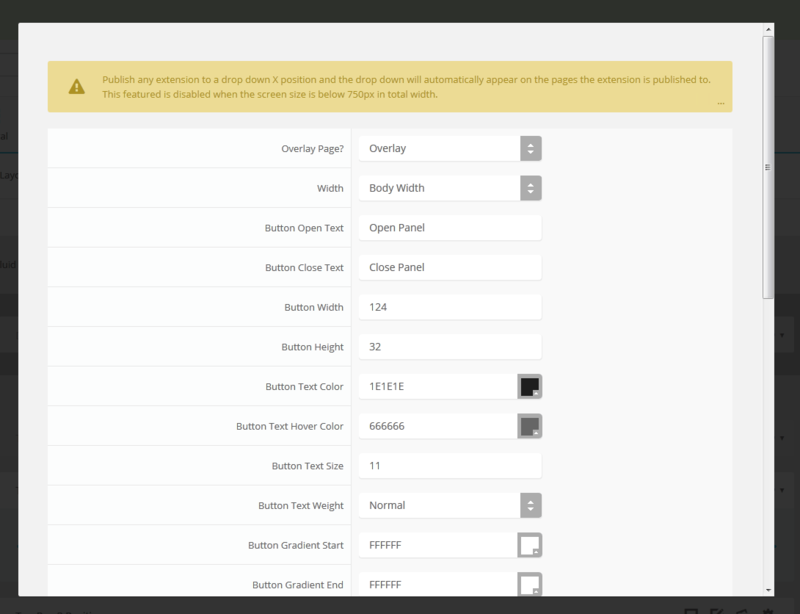 The S5 Drop Down Panel is a slide down panel that can be demo'd at the top of this page. The panel itself contains six module positions. You may publish any module that you wish into these positions. It comes packed with features so be sure to check out the list and screenshot below.